a) Sign into your Sendible account and click on My Users. 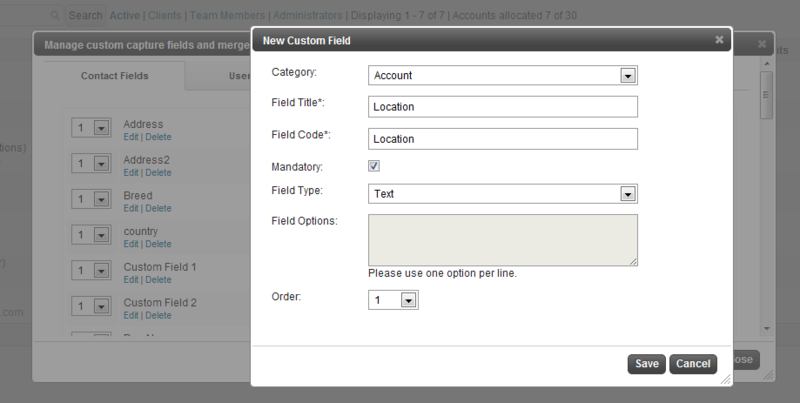 c) Create a new custom field/merge tag, by clicking New Field. d) A new dialog will open up and you’ll be able to enter custom capture information. e) Select the Category – this is the type of merge tag you will be creating. Options are “Contact”, “User” or “Account” and dictate where these merge tags can be used. For this example, use “Account”. f) Click Save to add your first merge tag. To add more, repeat the process from c above. e) Now that you’ve added a few custom tags, you can populate the fields. Since we’ve added Account tags, we can add tags at the account level. f) To do this, go to Add/Edit Services > My Services. For each of your social network accounts, click the “Tag” button and fill in the relevant information. g) Now that you’ve added information for each account, you can compose a message and insert merge tags to be replaced with the relevant content at the time your message is sent. h) Go to the Message Box tab and click “Merge Tags”. You’ll see a dialog window with multiple tags, grouped by category. i) You can insert tags into your message by clicking on the relevant item from the list. j) When you’re ready, you can select as many social media services as you like and the merge tags will be replaced with the appropriate content at the time of sending. a) Go to My Users. 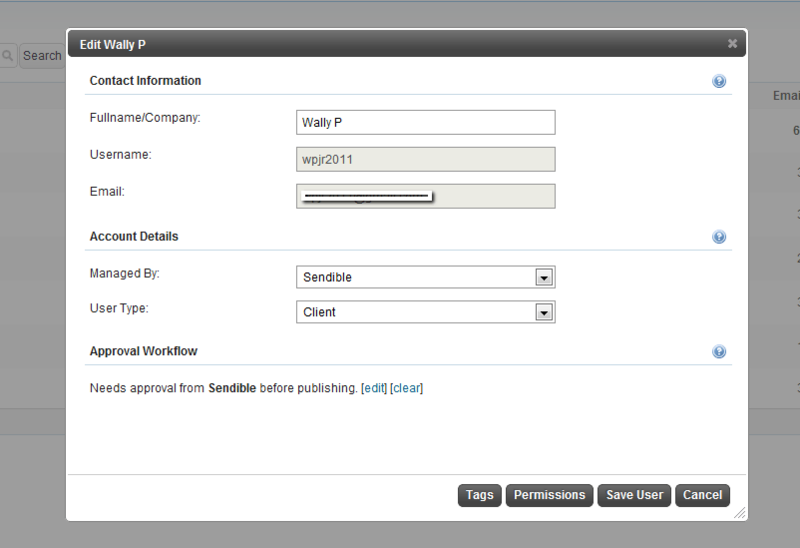 b) Click on the user/location in your list who needs approval before content can be published. c) Under “Approval Workflow”, click “Edit” to be able to define which user needs to approve posts before they get published. a) After creating your location instances within My Users, switch to each location’s account and setup their social media profiles for them. b) Once you’ve done this, go to Add/Edit Services > My Services and use the Sharing button to share these services with the head office user. c) This will allow head office to post updates on behalf of the location from within their Message Box. b) Click the Reports button. c) You’ll see a new dialog window that you can use to print reports. So you took the plunge and opened your own business through a franchise. That’s a smart way to go these days with so many businesses failing, considering that the franchise model usually has a pretty good foundation behind it. Some franchises will even offer advertising support to help you get going. They don’t, however, usually take care of the most important aspect of getting your name out and bringing in customers: your social media presence. Social media and blogs drive far more traffic than print or traditional media advertising today, so it’s vital that you make a solid effort to use these platforms to your advantage, and do it well. In order to do this effectively as a business you need good social media management software with plenty of features. What kind of features are important in your franchise business, you ask? There are 6 that you definitely need to make sure that you have. Running a business requires lots of time, and you don’t have the budget in a franchise to hire a dedicated social media director, so you need your social media dashboard to be able to automatically respond to inquiries and mentions. If you wait until you have the time to sit down and respond to every little thing, your potential customers will have moved on to more responsive pastures. Facebook pages are great. So is Twitter. If this is all you are getting though, then you are missing out on a huge chunk of the social space out there. Blogs, Foursquare, email, sms, friendfeed, the list goes on and on. A good piece of brand monitoring software will cover all of your bases, not just two or three. You’ve got to know what the data means, not just how many people visited your page last month. The tracking part is important, but it should track things like click-throughs, not just eyeballs. If it’s not helping the bottom line, it’s not doing you any good. If you are a brick and mortar franchise, location based services are a must. Allowing people to check in with Foursquare and being able to track that traffic is a huge plus when you have a physical location that people can visit. Which of your tweets, posts, and blogs are making an impact? After all, you don’t want to keep sending out things that aren’t being received well. Make sure that your software can track individual posts so you know what to repeat and build on, and what to leave alone. You want to know what people think, not just that they are visiting your site or talking about you. Sentiment analysis software will tell if your mentions are positive or negative and lets you know what to respond to and what to leave alone. 2011 saw a huge rise in social media, taking it from a sideline, extra activity to the center of the web universe. In the coming year social media will grow exponentially and become one of the central activities in human affairs on many different levels. Companies have all but fully embraced social media in their business plans already, but the integration in 2012 will become all-encompassing, with social media dwarfing other marketing activities. The increase will become so pervasive that it will become a given and a business necessity to have brand monitoring software to track engagement and measure ROI. Companies will also move away from having a marketing department that also handles social media. The new necessity to survive the competition will be a director of social media, and possibly a staff that does nothing but. This is because social sites will become the new customer service centers of corporations, tailoring their practices to fit into the customers’ paradigm. Marketing will finally find the ultimate sweet spot in social media, where well-planned campaigns become almost effortless and extremely more effective due to fitting in the target market’s activities rather than becoming an extra activity. Businesses that can see the future and prepare properly will thrive. Those who do not will sink, and we are likely to see a shake-up and shake-out of businesses in the coming year as this heats up. With the smartphone and tablet markets already in full gear, this will be the year that they rise toward the saturation point. These markets have been sitting in the 20-35% adoption range for a couple of years, but the latter half of 2011 saw then inching higher each month. In 2012 this market will break 50% and beyond, and in doing so social media activities will follow and become much more mobile than they are tethered to a laptop or desktop. Social gaming will continue to grow at astronomical rates, incorporating more and more advertising as well as real-world activities that tie in. Twitter really began the cycle of distributing news through social media a few years ago, but it has really grown into a powerful force today, with many people getting the majority of their daily news through social sites. This trend will only continue, and as major media outlets embrace it more and more it will become better structured and the primary source for most people to get their news, in one way or another. We have already seen in newscasts and in this election cycle the engagement and inclusion of Twitter and Facebook as legitimate sources of engagement and feedback from viewers, and this year’s Presidential election will likely see a huge impact from the social side of things. Facebook will get the push over the 1 billion mark by adding users from countries with lower rates of adoption, and they will remain a dominant player in every aspect of the social scene, which will mean the web itself. However, Google has already taken bold moves in recent days and months to set themselves up for the biggest putsch in internet history. They have steadily been integrating and tweaking their vast products and resources to eventually form one hub to rule them all, just as the Google search site was for years. With Google+ taking off in the last 4 months and being integrated with everything from search to pictures to documents to email to everything else, Google will complete this consolidation and finally release their API for third-party development, and in a matter o months they will out pace Facebook and once again become the dominant force on the internet. Once this happens it will be a coups that will be hard to undo. Sendible makes it easy to import and schedule multiple social media updates at once. The type of message you choose to import could be anything like your regular Tweets or your daily Facebook status updates. A CSV file is a simple text format commonly used for database tables. Each record in a table is one line of text with each value separated by a comma with no space. Note: While most text editors, office applications, and database management systems support CSV format, they may not export correct character renderings in a CSV. For instance, depending on a system’s regional settings, Microsoft Excel may use a semicolon as a separator instead of a comma. Be sure to check your application’s defaults before exporting to CSV format. Be sure to use the following date format for the SendDate column: yyyy-MM-dd HH:mm. E.g. 2012-02-24 23:59 for your CSV file. 1) Click on Add/Edit Services > Import. 2) Under CSV importers, click “Add” next to Message Importer. 3) Click “Browse” and select your CSV file. 4) Note that Sendible accepts a specific CSV file format as seen below. 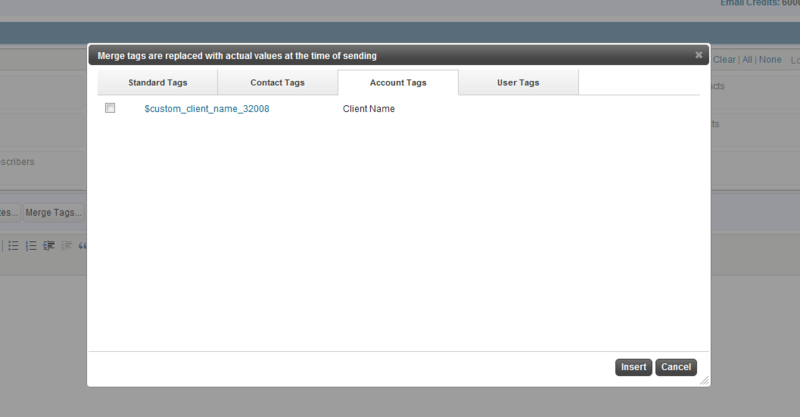 The column headers “Message”, “Subject” and “SendDate” must be included. 5) Select the group that you want these messages to be distributed to. A group can consist of multiple social network profiles, email address, blogs etc.